A mountainous, verdant land, Grenada is a place of tremendous beauty and life. Often known as the “Island of Spice” Grenada is a major producer of spices such as nutmeg, cinnamon, cloves, ginger, and cocoa. Part of the Windward Islands of the Lesser Antilles, Grenada is a chain of six distinctive islands. With its special blend of English and French cultures, tremendous natural beauty, and unique offerings, it is easy to see why Grenada remains one of the most popular destinations in the Caribbean. Grenada and the Grenadines boast incomparable sailing conditions, in well-known spots such as Tobago Cays, Mustique, and Salt Whistle Cay. 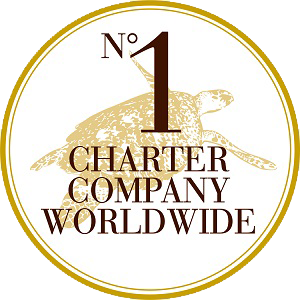 With steady trade winds, short passages, and crystalline waters, a bareboat yacht charter in Grenada is truly ideal. 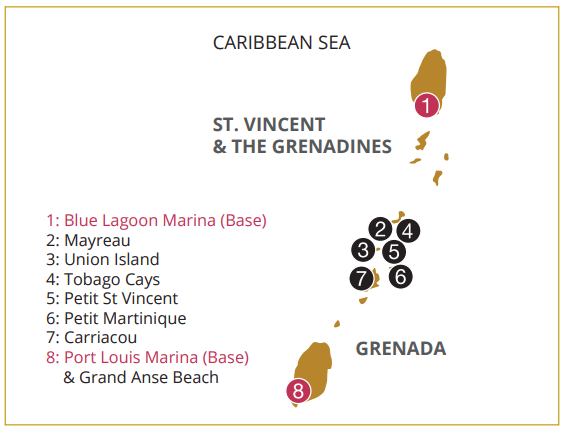 This area is considered to offer slightly more challenging sailing conditions, which will please our experienced visitors, but no matter your skill level as a sailor, you’ll find the Caribbean waters around Grenadine a great place to open your sails. After enjoying your days at sea, you can step onshore to the islands of Grenada, and get to know the history, nature, and people. Inland, you’ll find Grenada to be a garden paradise, with tropical rainforests, glimmering waterfalls, and rare fruits and flowers growing in abundance. In the towns and cities, you’ll love coming face to face with the local culture. There are many Carnival activities yearly, in addition to frequent markets and shops to purchase produce, spices, and Grenada-made goods. 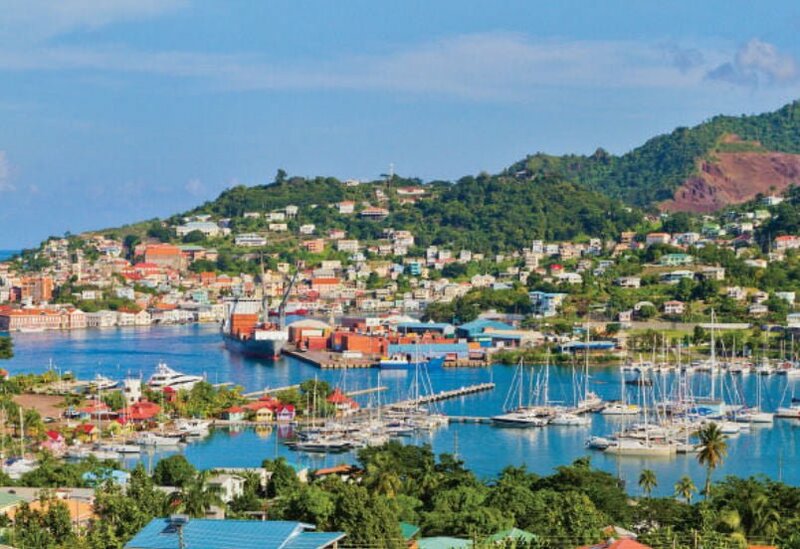 St. George, the capital of Grenada, is renowned as one of the most beautiful Caribbean cities, and the nearby Grand Anse Beach, a nearly two-mile stretch of ivory sand, is consistently ranked as one of the world’s top beaches. 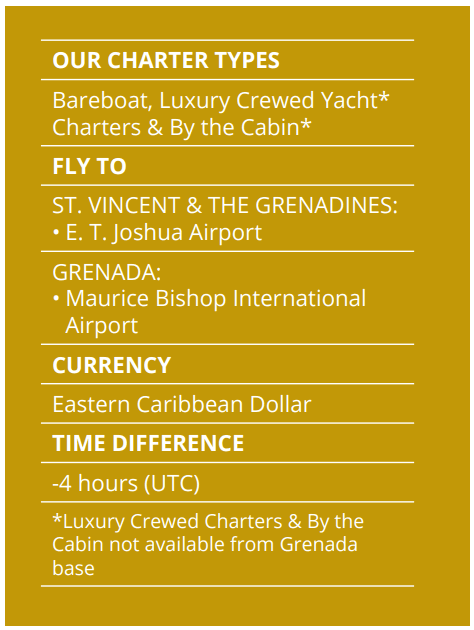 With convenient flights from major points in North America and beyond, getting to Grenada is simple and worry-free. Your Dream Yacht Charter holiday starts at our base in convenient Marina Port Louis, where you can relax with a variety of amenities. We’ll get you situated and ready to set sail on your vacation of a lifetime: exploring the spectacular Grenadines.